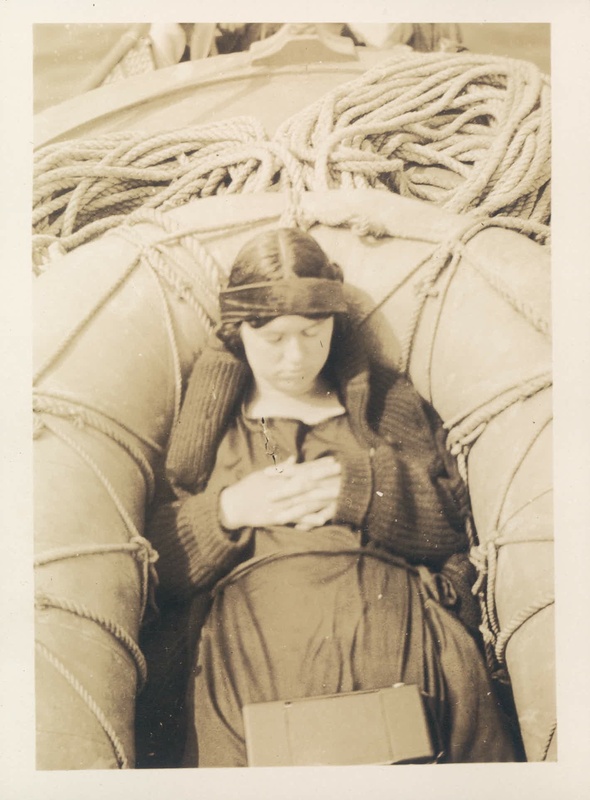 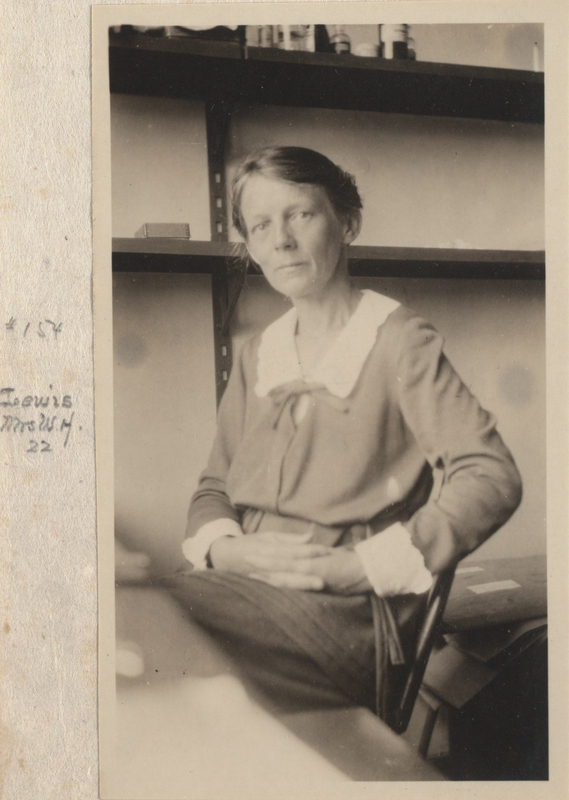 Back of photo reads "Isabelle Bunting on Cayadetta collecting trip 1920's" and a small circled number 19 in the bottom lefthand corner. 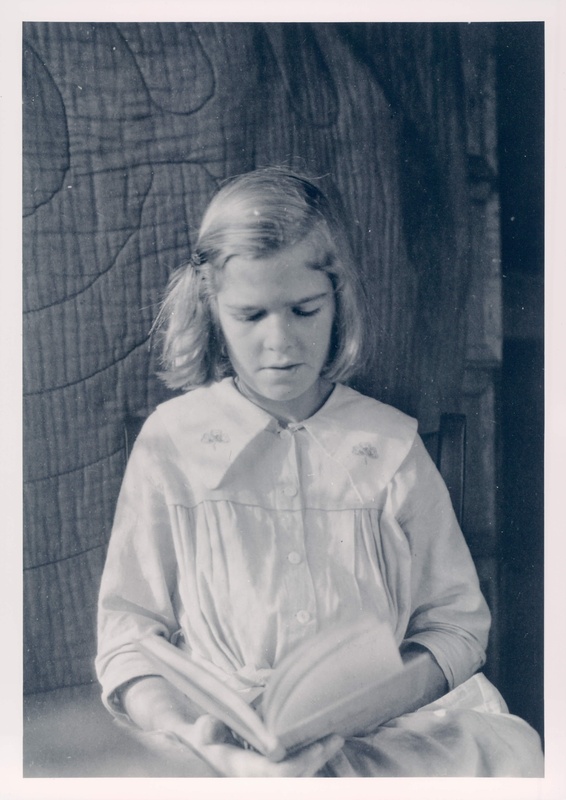 Black and white photo of one of T. H. Morgan's daugther reading a book. 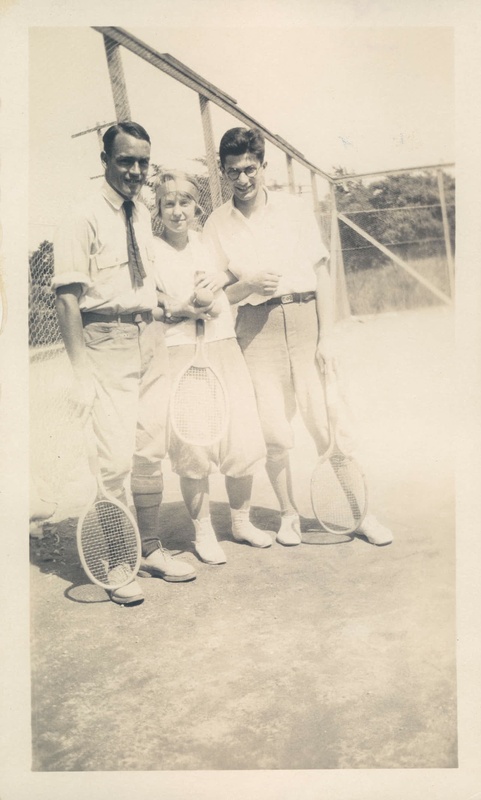 Back of photo reads: "Paul Conger, Jack Schultz, Ida Guenther: Woodshole, Mass Early 1920's" there is also a small circled number seven in the bottom left corner. 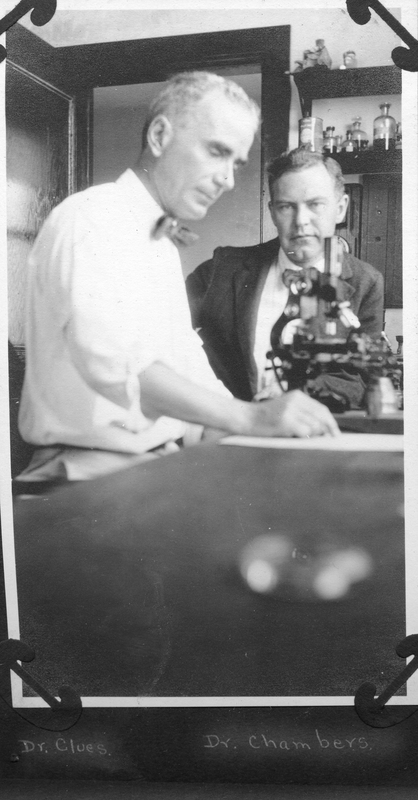 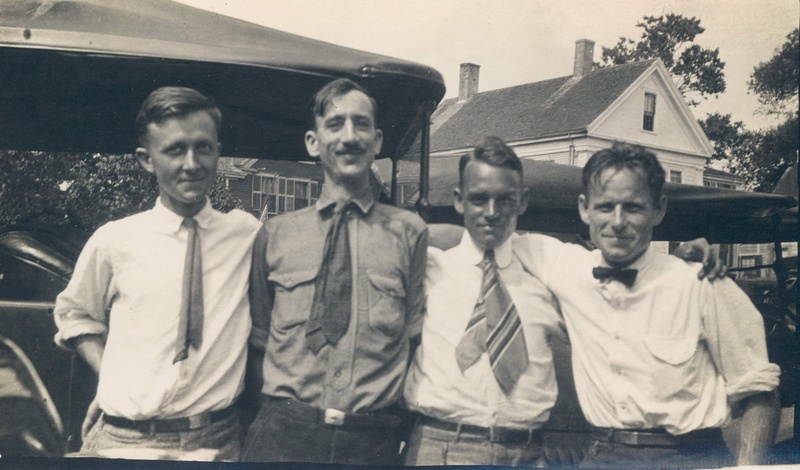 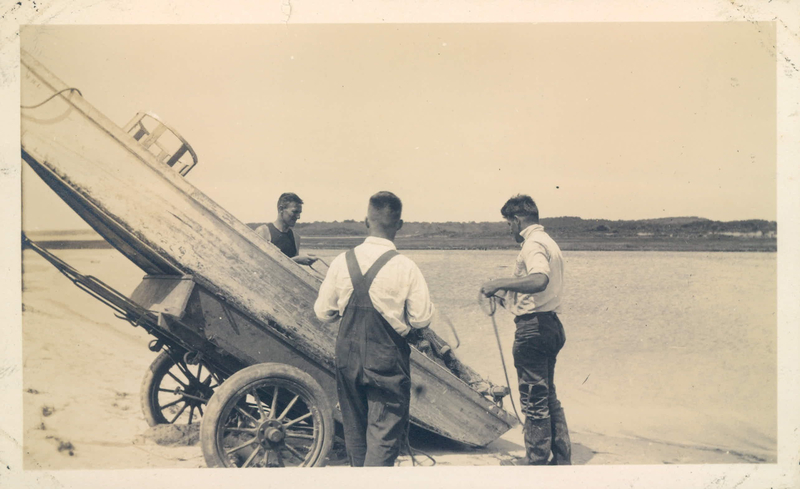 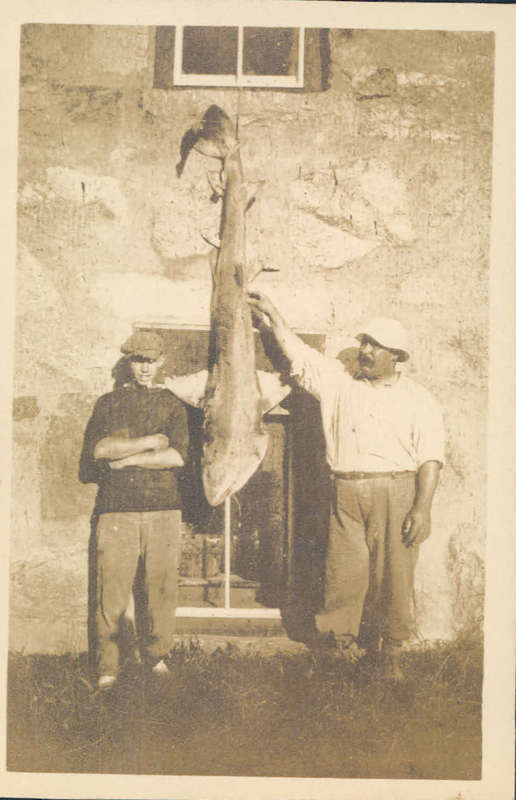 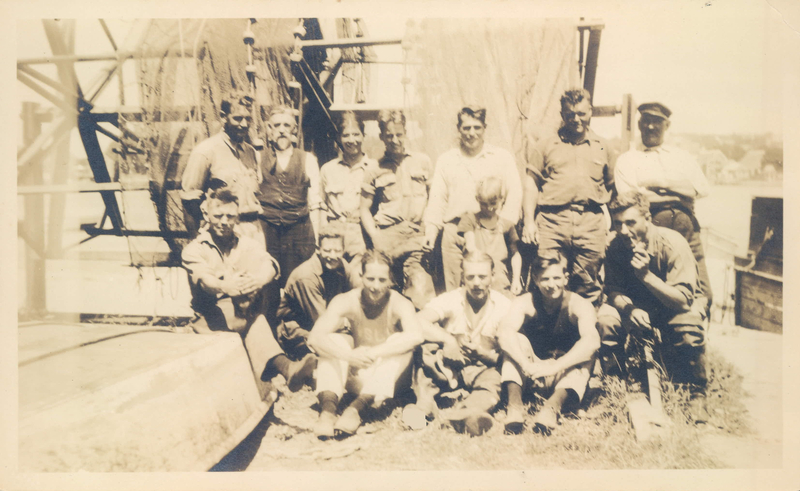 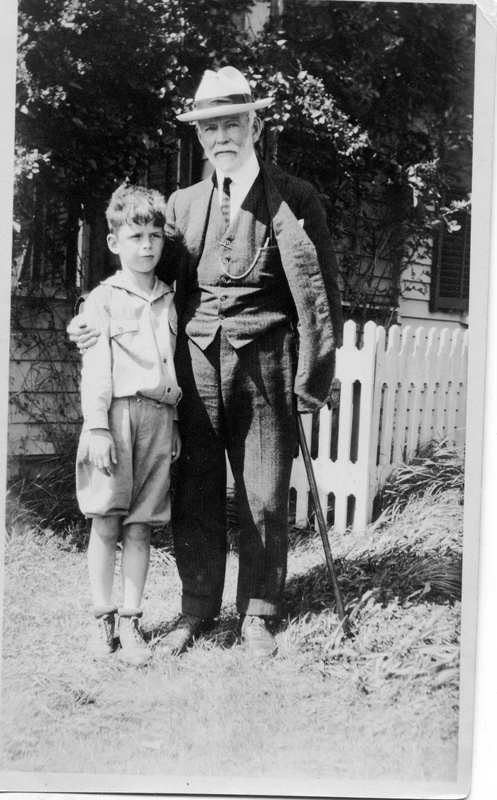 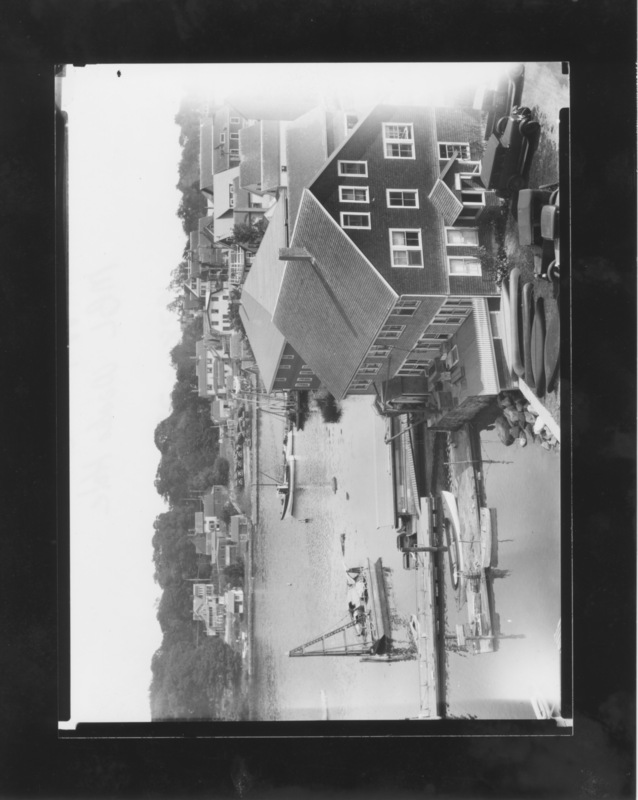 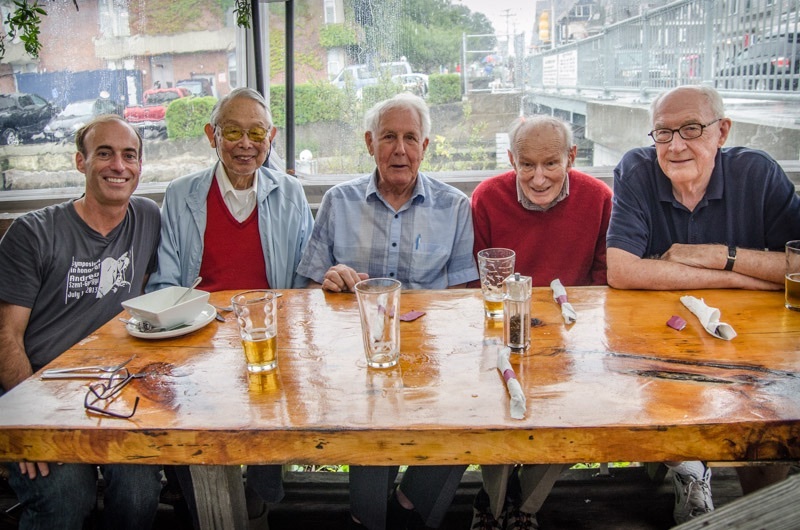 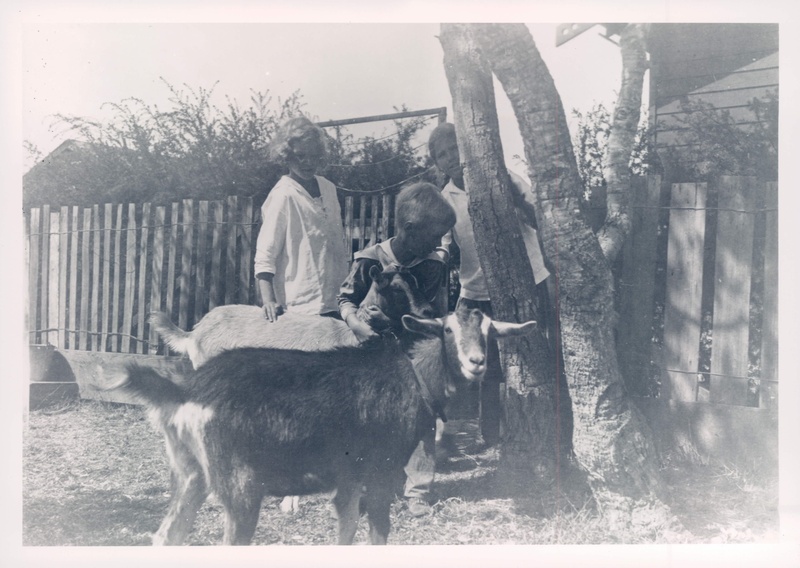 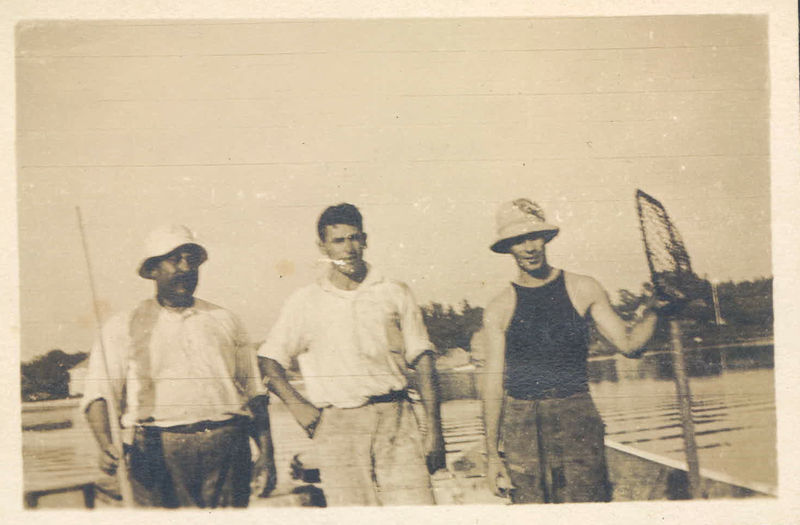 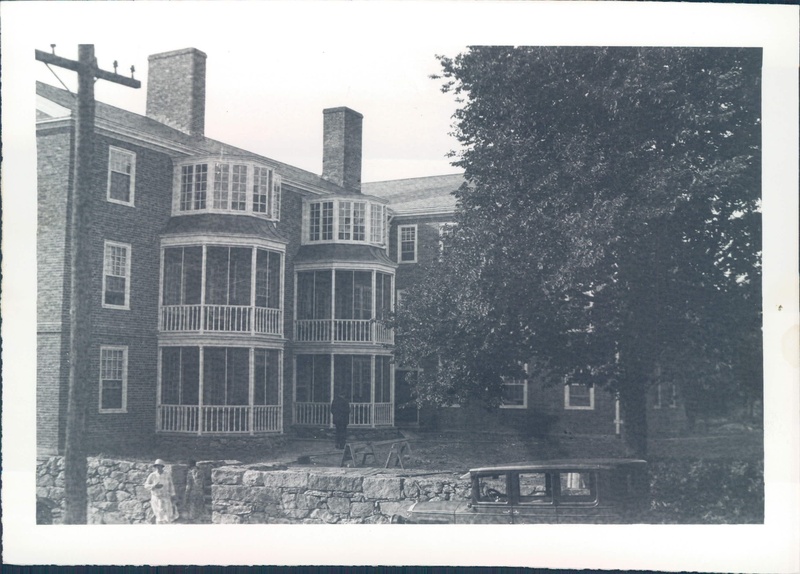 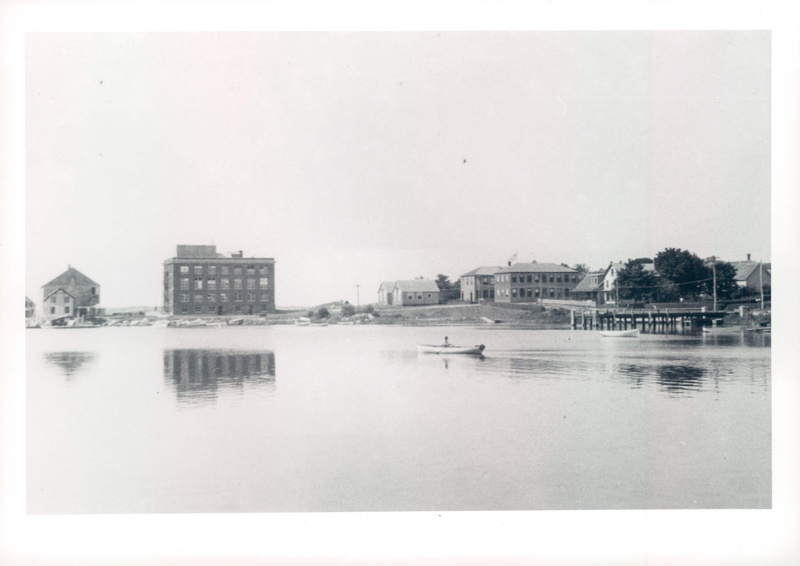 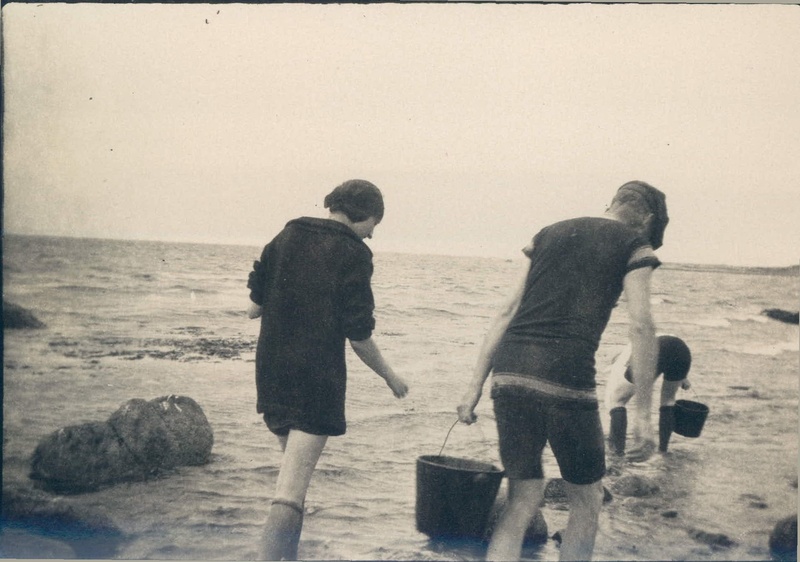 Back of photo reads: "?, Alan Boyd, Paul Conger, Art Dawson; Woods Hole, Mass early 1920's." 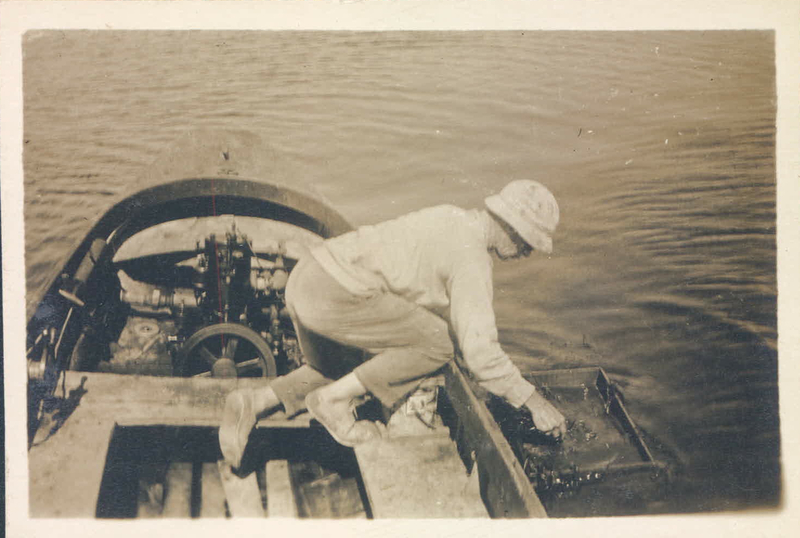 Students Collecting Specimens with Dr. Lewis. 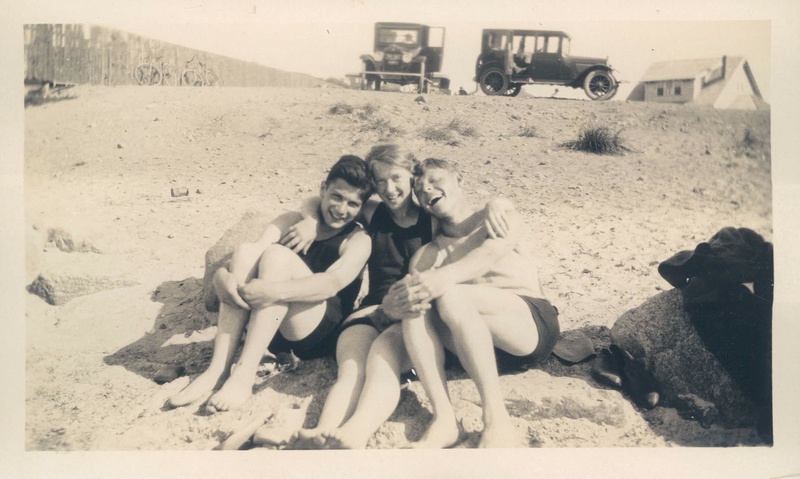 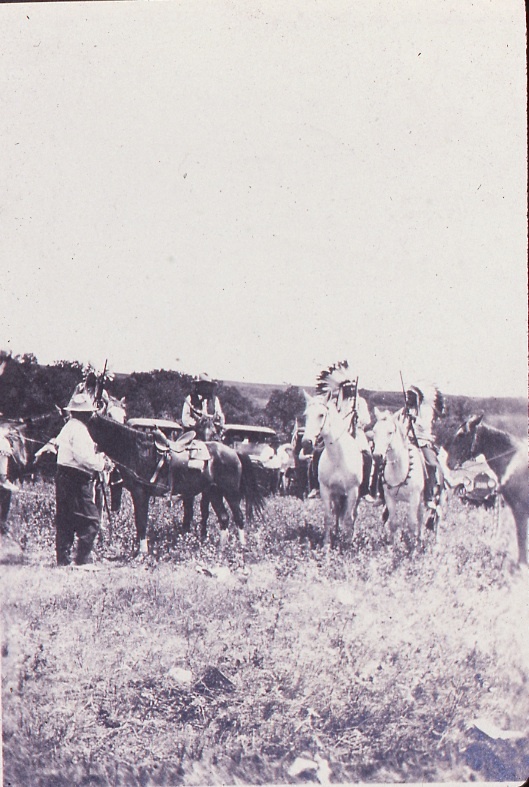 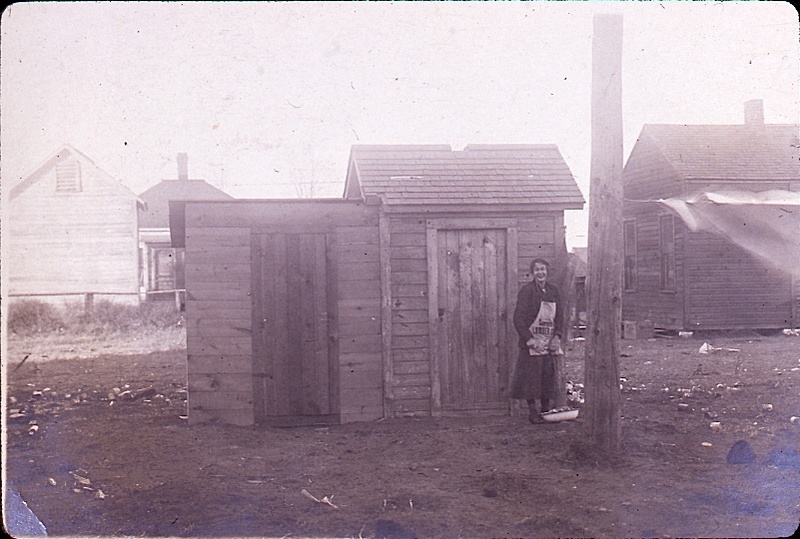 Back of photo reads: "Jack Schultz, Ida Guenther, Audrey Hopkins; Wood Hole, early 1920's" and the number 8 in the bottom right hand corner. 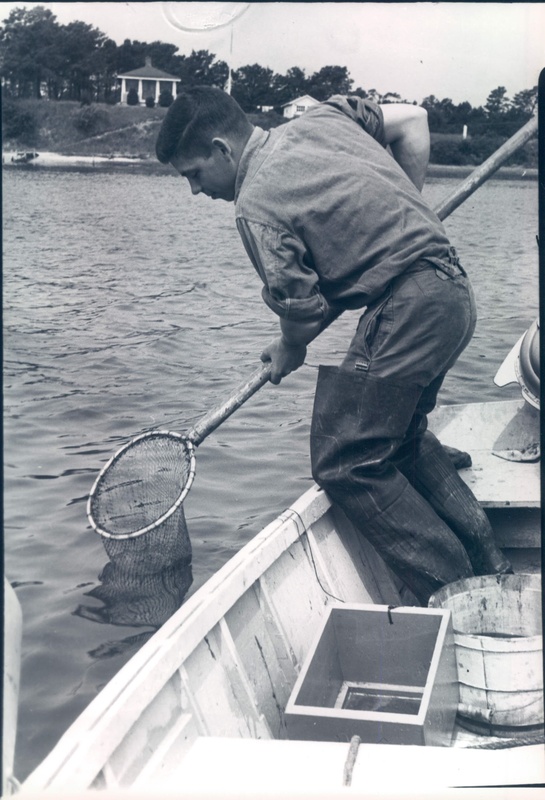 Black and white photo of a man on a boat out on the water fishing. 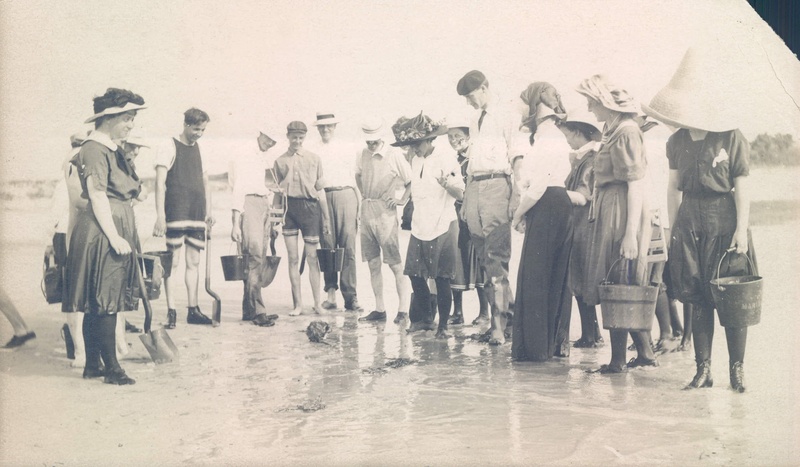 Black and white photo of the invertebrate class on a collection trip standing on the beach looking at a little animal. 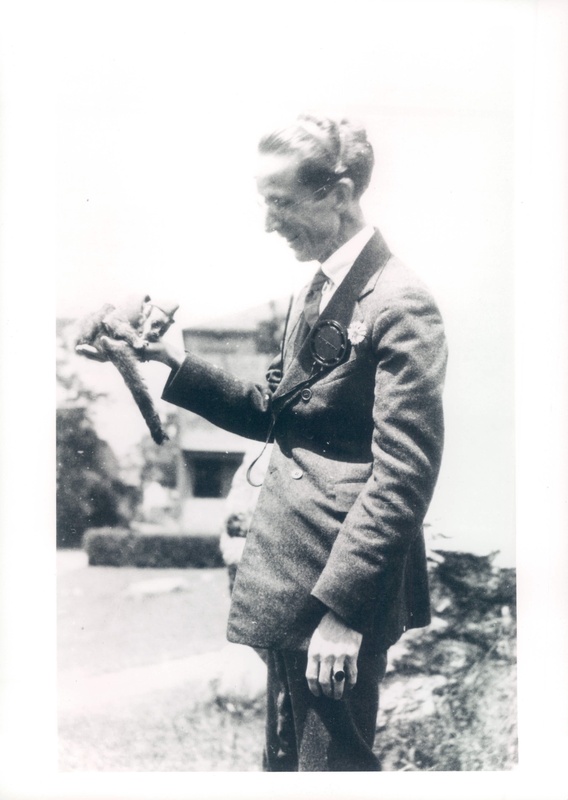 Black and white photo of 'Wireless Pete' in a suit, holding a small monkey. 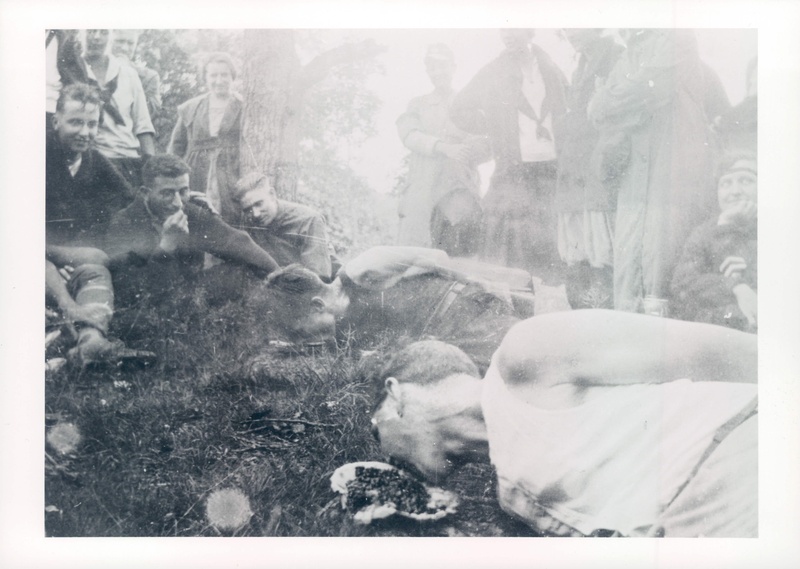 Black and white photo of a group gathered around two people in an eating contest. 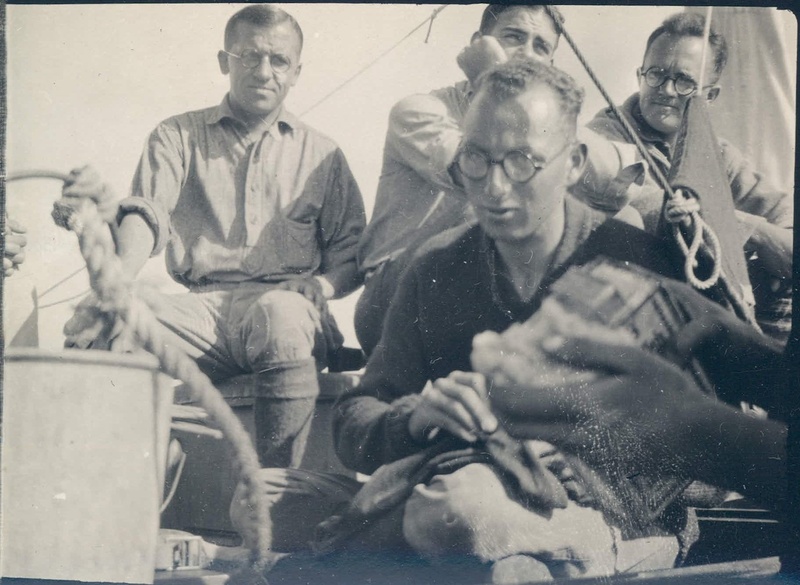 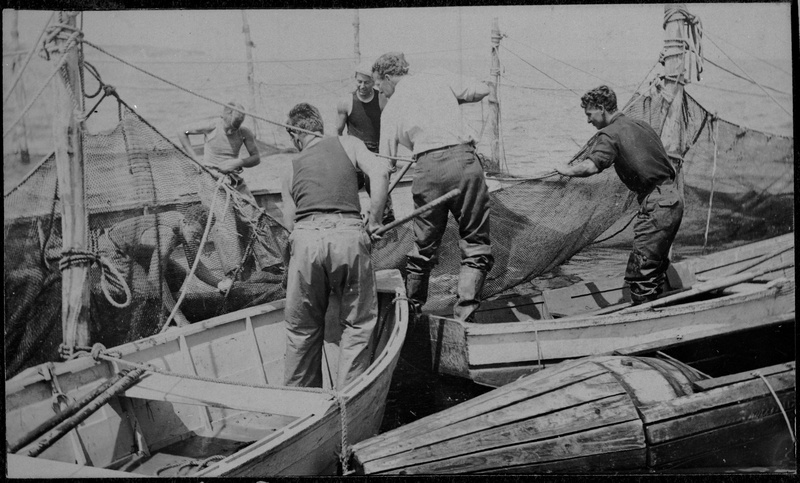 Black and white photo of six men on several small boats arranging and gathering fishing nets. 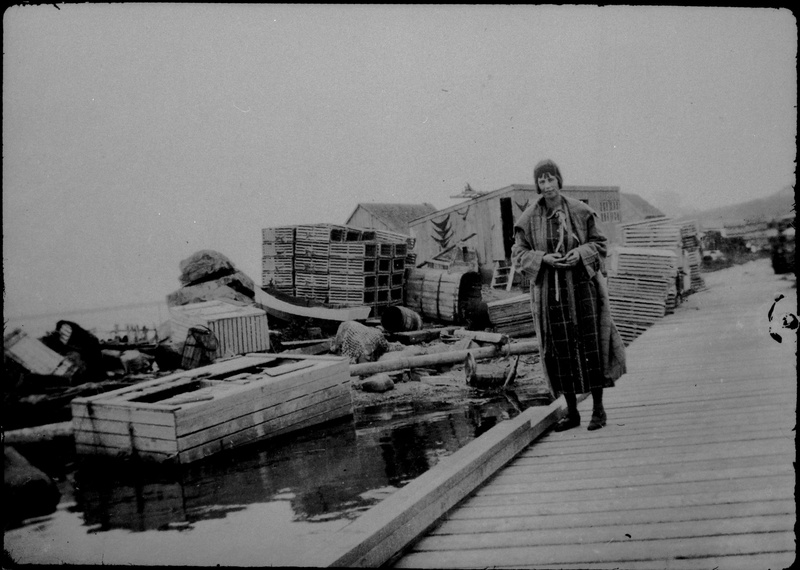 Black and white photo of a woman wearing a heavy plaid coat standing on a dock with many multi-sized wooden crates in the backround. 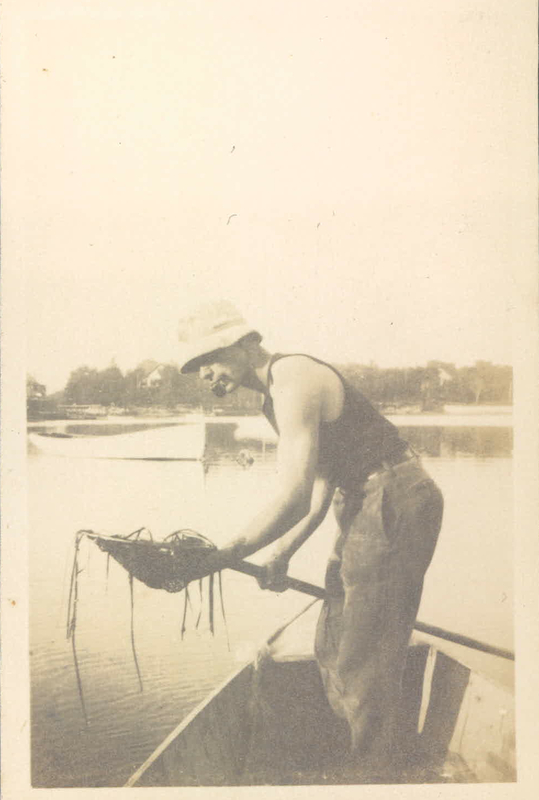 Sepia photo of Grift with a pipe in his mouth, on a boat harvesting 'gonies' from the water with a net. 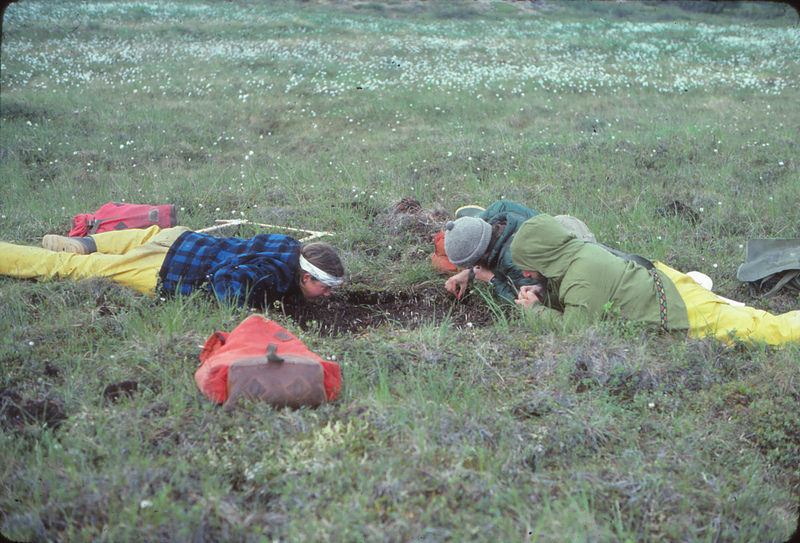 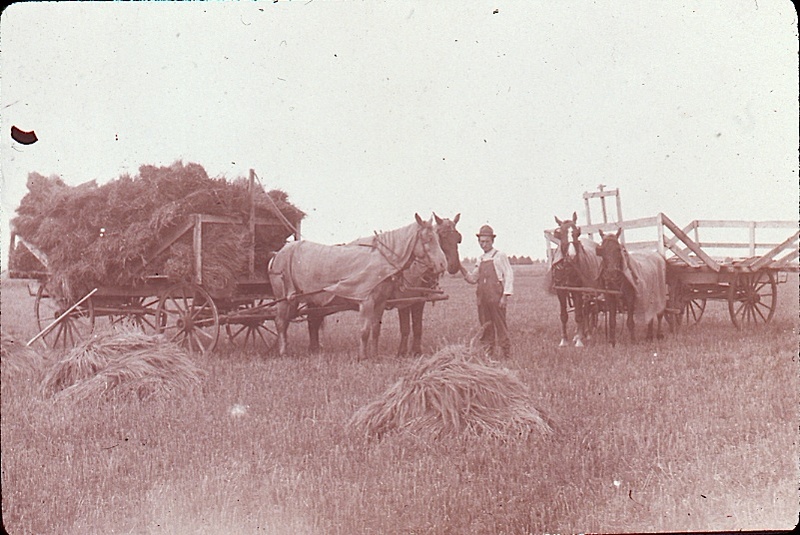 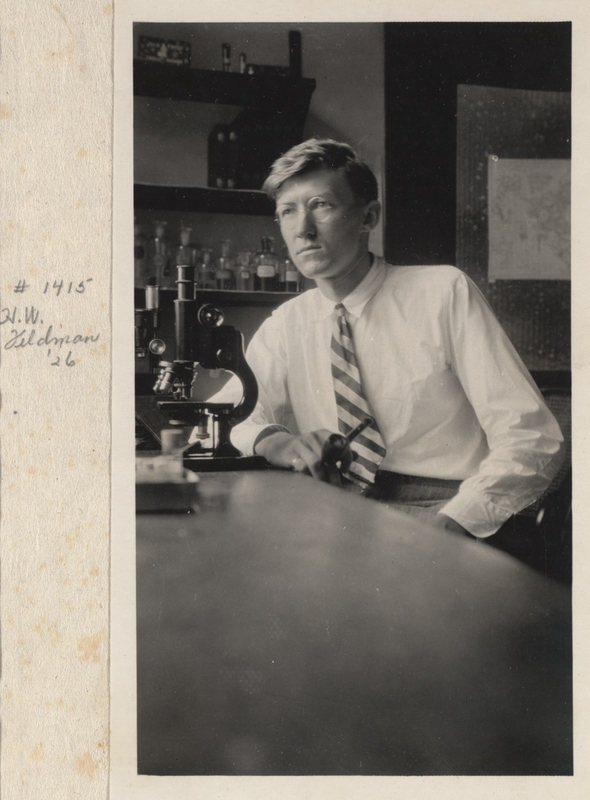 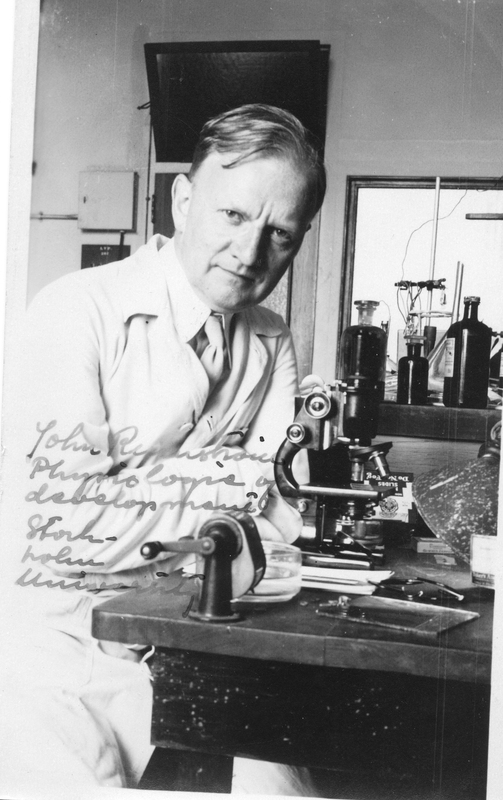 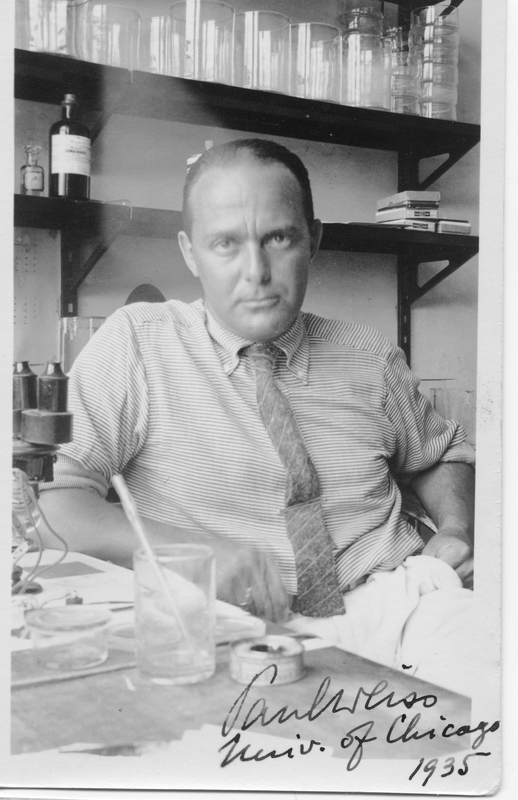 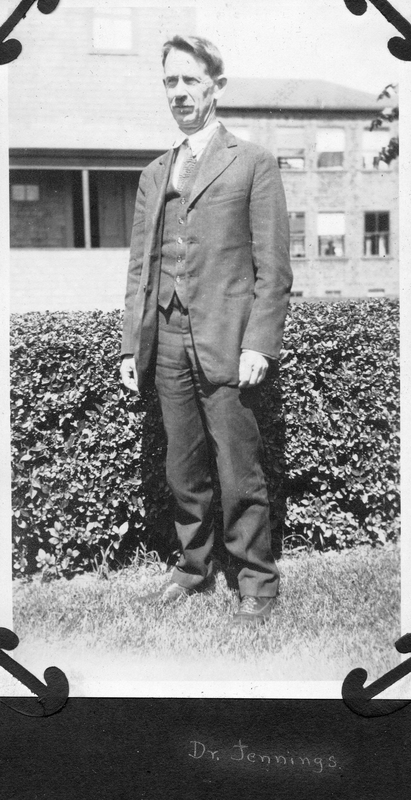 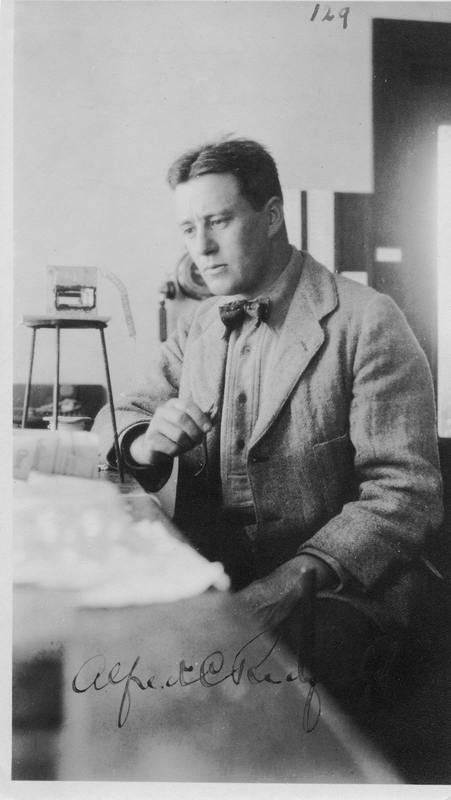 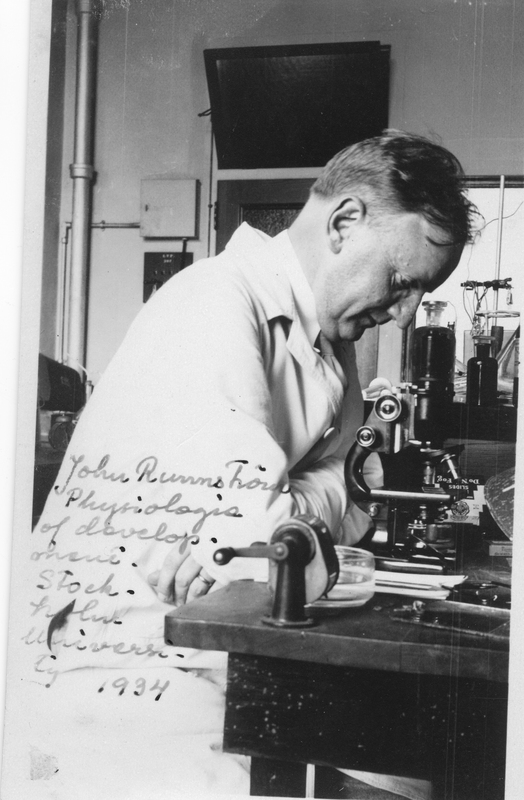 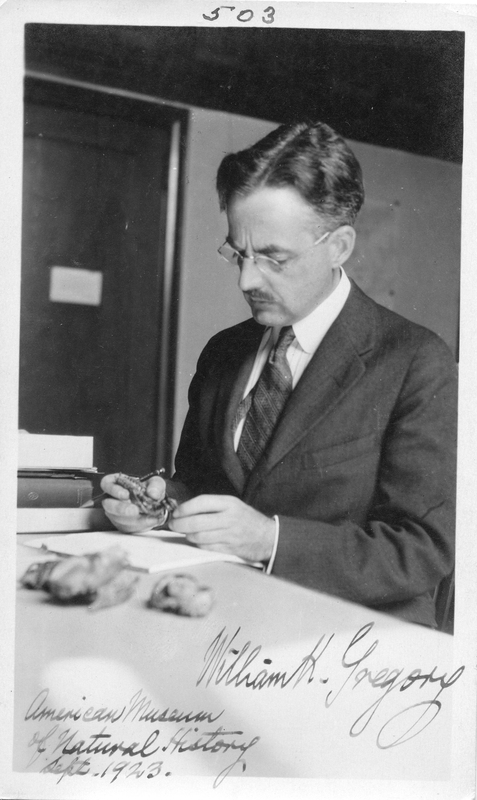 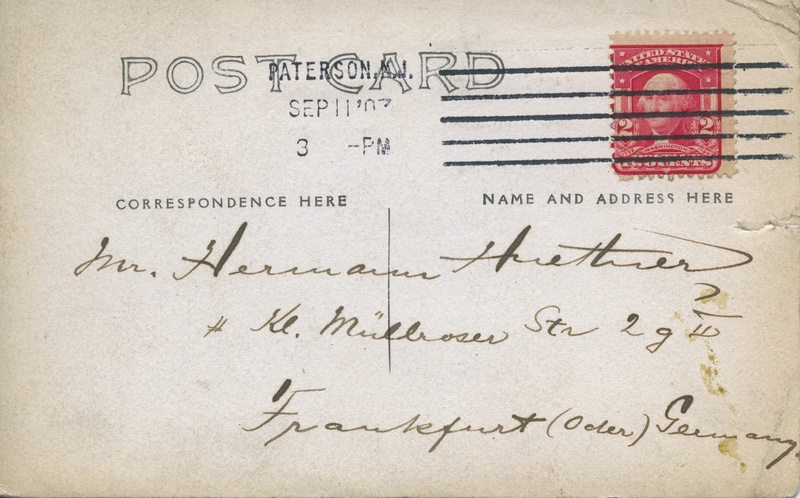 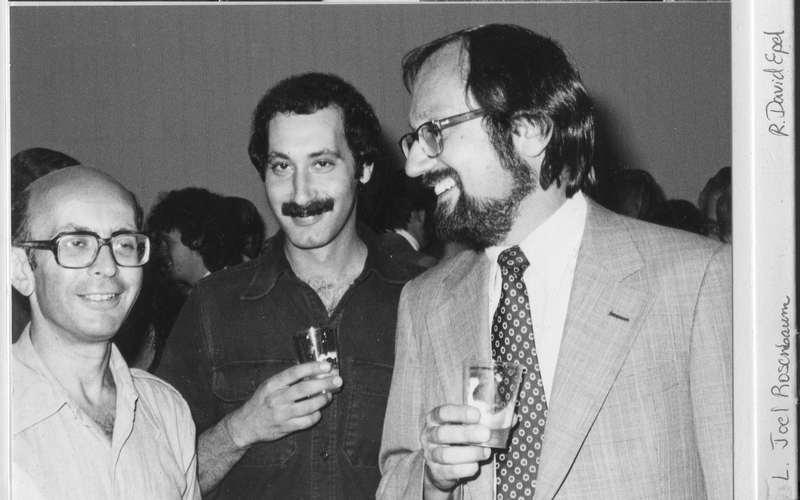 Labelled "Huettner Photo. 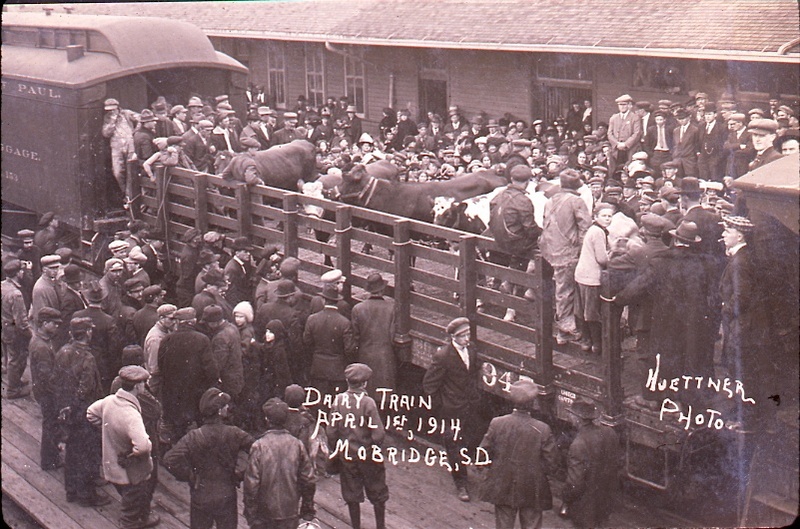 Dairy Train, April 1st, 1914. 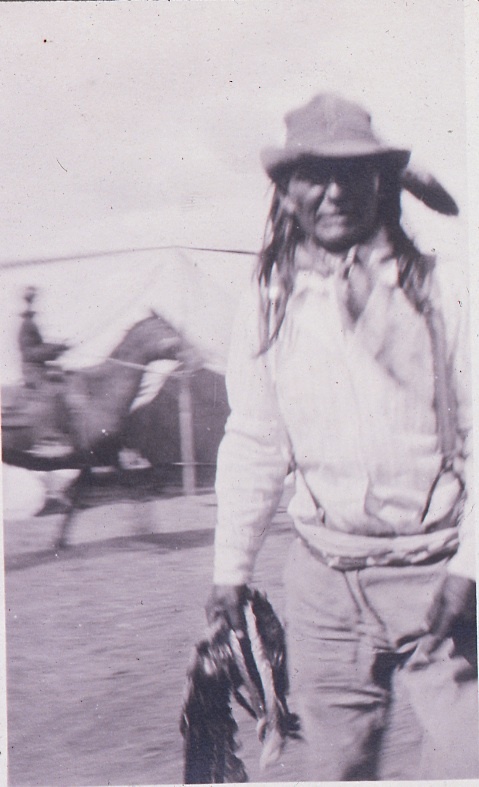 Mobridge, S.D." 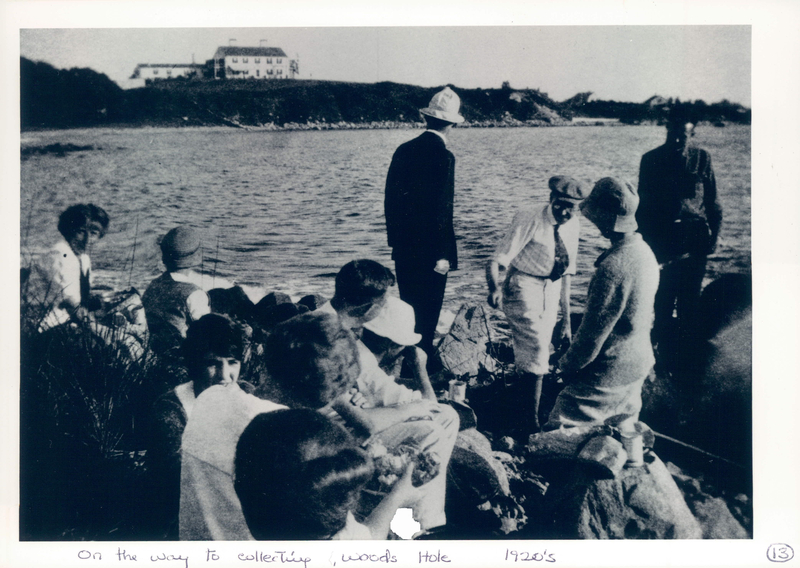 Back of photo with handwritten "Dr. Clapp- 1st Row-center (dark dress)." 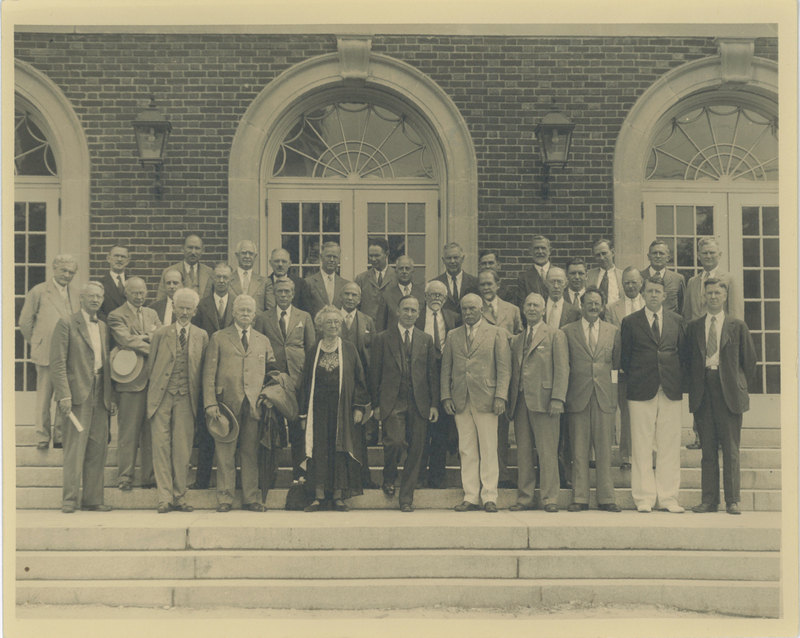 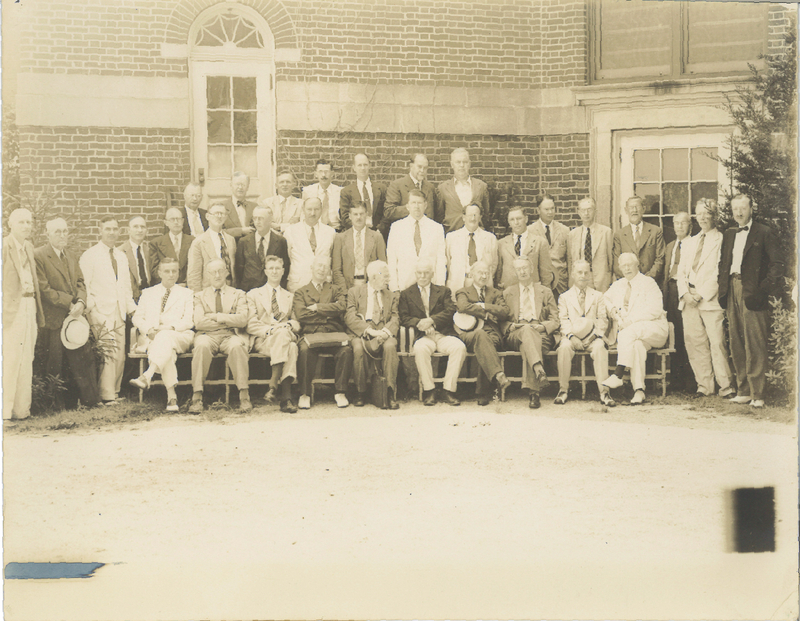 Black and white photo of the Trustees of the Marine Biological Laboratorr taken in front of the Lillie Building in 1939. 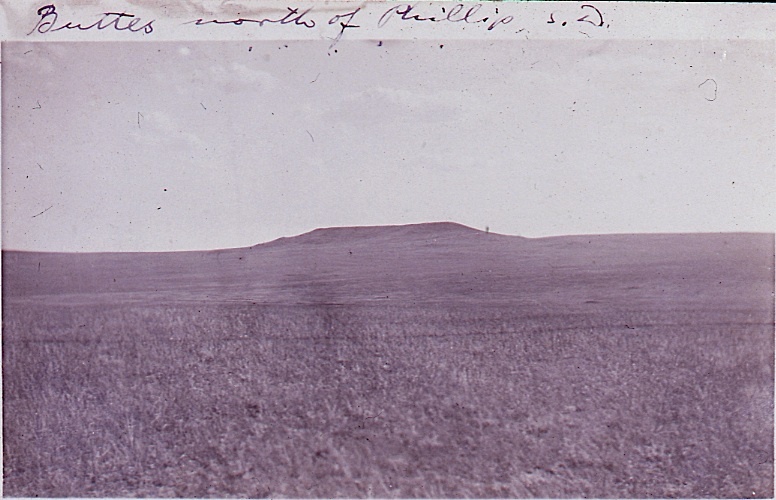 Labelled "Buttes north of Phillip, S.D." 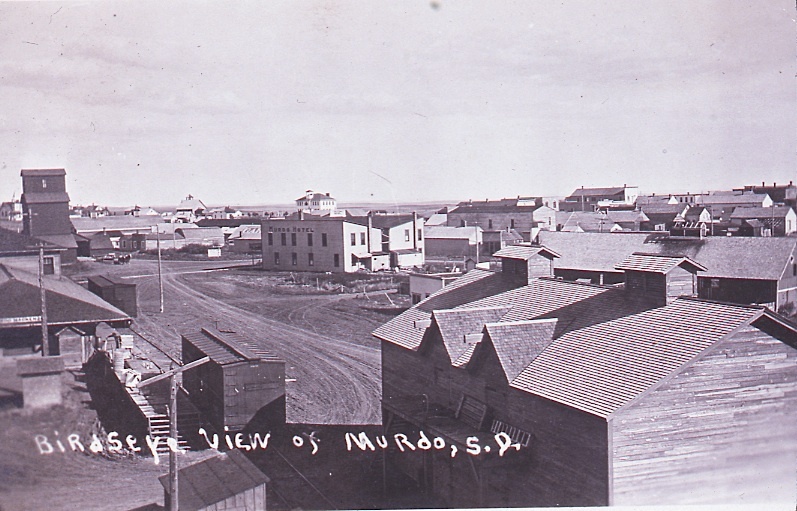 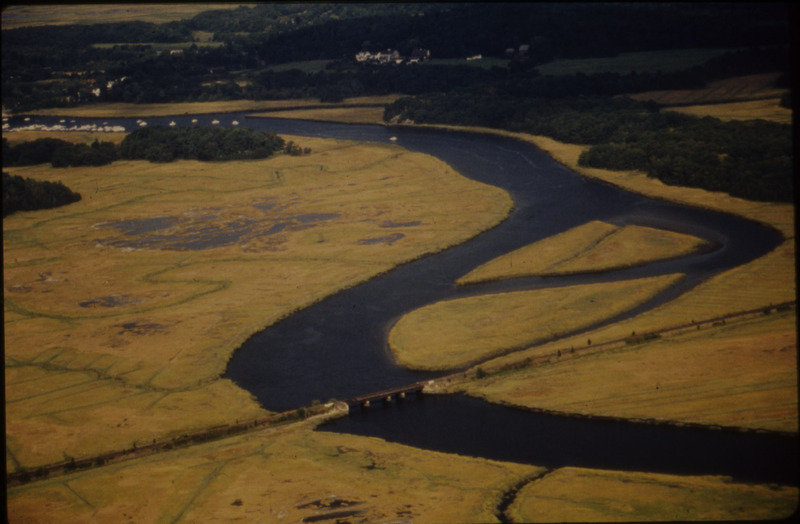 Labelled "Birdseye view of Murdo, S.D."